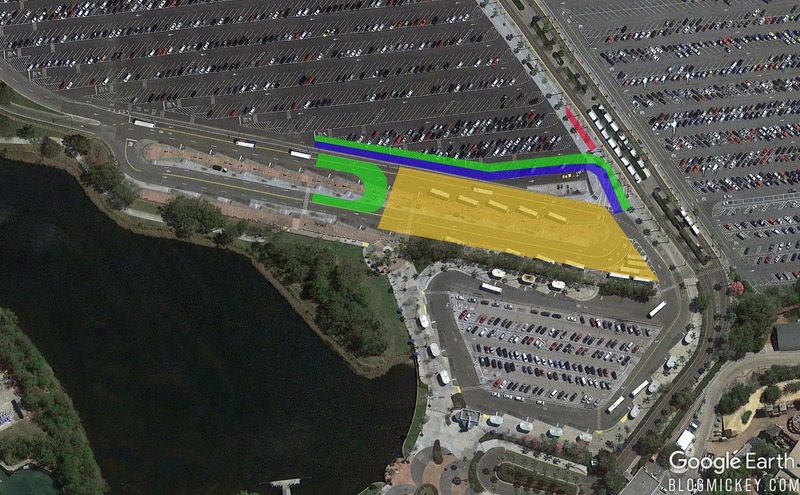 We first noticed a re-routing of the bus loop at Disney’s Hollywood Studios a couple of weeks ago. Taking to the air, we’re now able to better visualize the changes that have taken place. To recap, here’s what we theorized the changes would look like. Here’s what we saw from the air recently. We anticipate that the change is to accommodate heavy machinery for construction of the Hollywood Studios station of the Disney Skyliner gondola system. 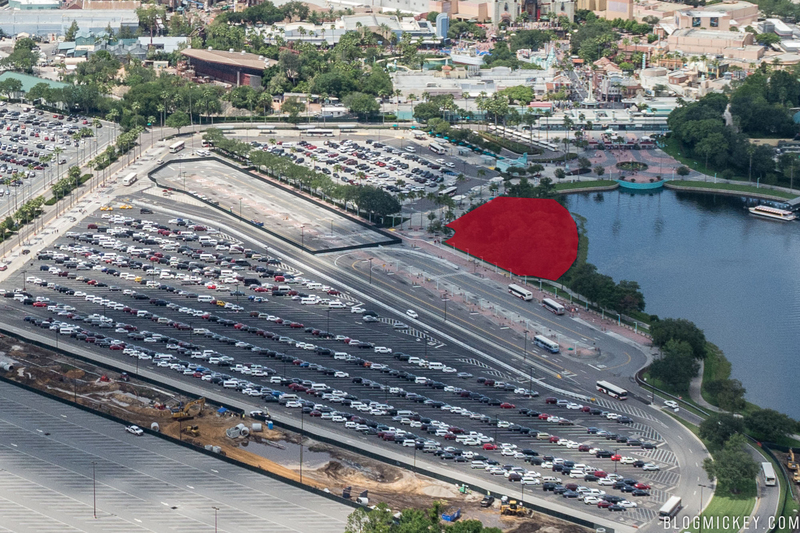 We’ve highlighted where the gondola station will go in red below. We’re yet to notice actual groundbreaking on the Hollywood Studios station, but “do not dig” flags, combined with the recent transportation re-routing, suggests groundbreaking is imminent. The Disney Skyliner gondola system is expected to be completed by mid-2019.